Dear Amber Admirer– As the wind starts to tease the leaves from the trees, fall begins here in beautiful Northeastern Pennsylvania. Time to warm up your wardrobe with Baltic amber in beautiful seasonal shades. We’re pleased to offer you our fall gift selection of "True Heart" amber & sterling stud earrings, a $24.50 value available only through this promotion, yours with any $50+ amberjewelry.com order. 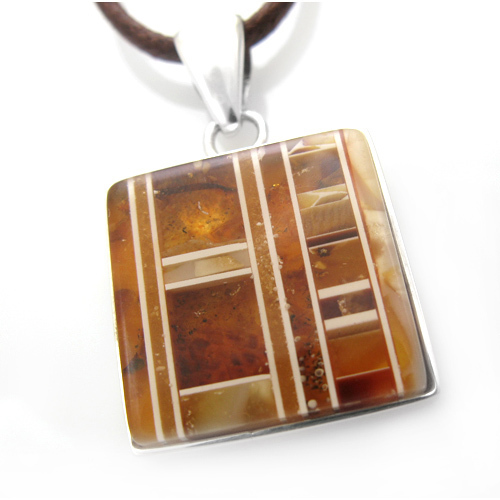 We’ve just released a special limited selection of handmade Amber Mosaic designs. colors available in modern amber jewelry forms. World Polish form of amber artistry. wide using this inlaid method. have a very exciting season planned ahead for amber fans.